As a fan of his science fiction and near-future fiction (the Mars trilogy, Three Californias, Science in the Capital) I've been reluctant to tackle Kim Stanley Robinson's alternate histories. But I started this, his latest novel, and more than 500 pages later I finished it, wondering what my problem was. Part of my reluctance was the historical dialogue choice: Does everybody sound hopelessly antique and false, or do these characters from remote times talk like they've got smartphones in their togas? Neither appeals to me. 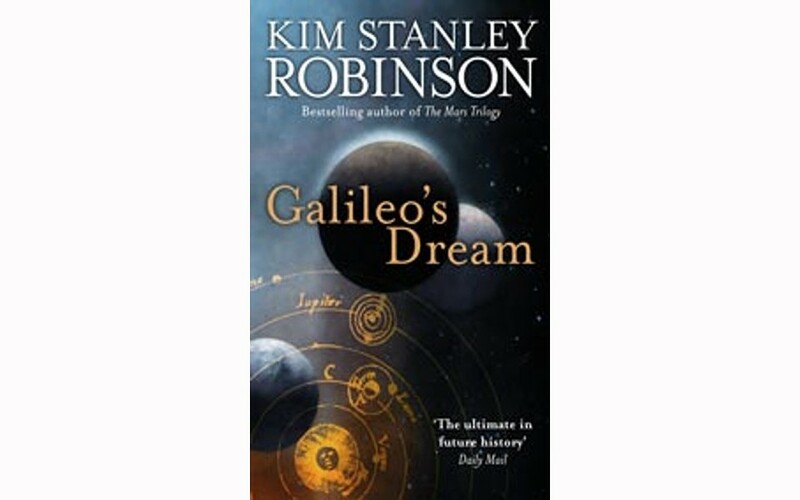 Robinson opts for a contemporary vocabulary (though with a minimum of anachronisms plus appropriate historical touches) and he makes it work, partly because he creates a complex, believable and likeable Galileo from the historical record. Galileo's intellect and insights are formidable, but his ego, impatience and appetites cause him as much humiliation as his battles with the Church over how the solar system works. He's got marital, family and money problems, devoted friends and dedicated enemies. Plus he keeps getting sent to the moons of Jupiter in the year 3020. That's the science fiction part of the story, and some readers have found those scenes and characters less satisfying because they're less complete. I like the way the problems of the future feed back into the historical story, and even manage to create suspense about Galileo's ultimate fate. (There are hints that the past of this future is different -- even the solar system has a few more planets.) That the characters there have mythological names adds another layer of mystery. In terms of how humans react to new knowledge that humbles them, past and future stories correspond. The future perspective allows Robinson to describe a fascinating cosmology and our future history. But it's not just the future commenting on the past -- it's also the other way around. About the inhabitants of these moons, Galileo observes: "Surely living out here must make you all a little bit mad? Never to sit in a garden, never to feel the sun on your neck? We were never born for this." Though Robinson (who teaches at UC Davis) is just shy of 60, this novel expresses a notably mature perspective, both in content and forthright expression. This gives Galileo's aging observations even more resonance. Ultimately this is the story of the first scientist (though the word "scientist" didn't arrive until the 19th century), and the meaning of his insights as well as the fullness of his life. There's humor and incident within the framework, and towards the end of his life, when Galileo sees something different in one of his daughters, there's a feeling of possibility as well as elegy.